Whether you are looking for an end of term treat, or something a little more structured, we have a school package for you. Our structured Schools Program is designed to enhance and support the rapid development of your students across physical, mental and social levels. 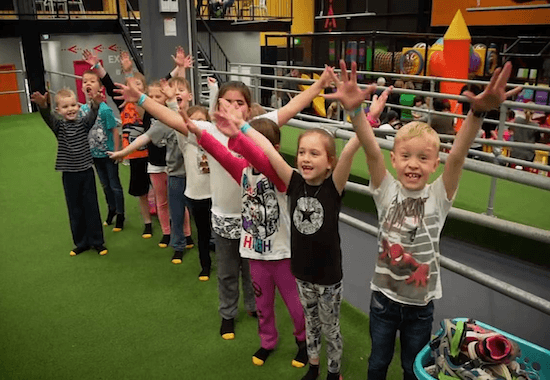 We are passionate about tailoring school excursion and physical education programs to suit the need of your group, so please give us a call to chat about what's best for you. 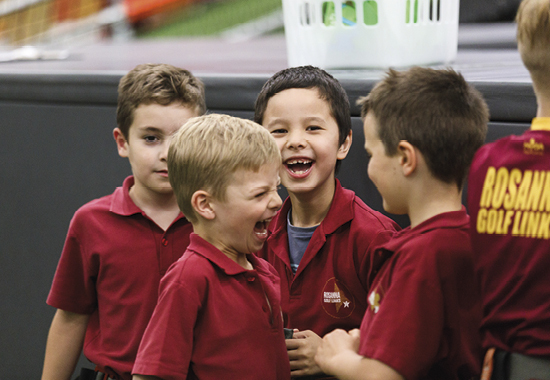 Our School Physical Education Program is tailored for students from Prep to Year 10. Closely aligned with the National Curriculum and Assessment Authority’s guidelines on Physical Education, we take special care to ensure the needs of each age and development level have been met, and programs are delivered in a safe and fun environment. 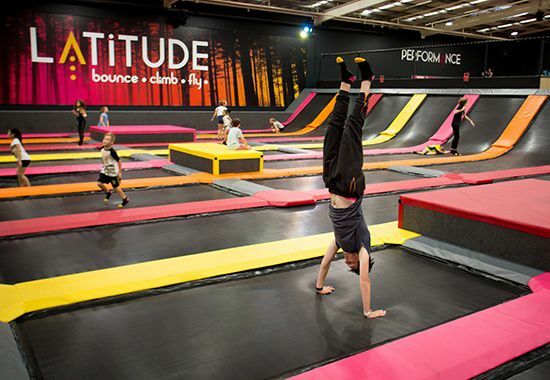 At Latitude, we combine the fun of a school excursion with the health benefits of physical education. Furthermore, all of our school and fitness programs are designed and executed by our fabulous crew who have expertise in personal training, sports development and coaching. to make your school visit one to remember! 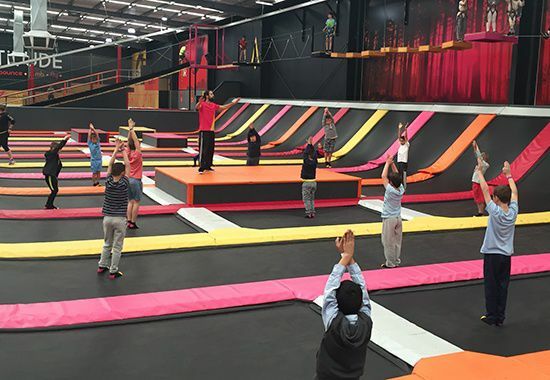 Trampolining is a great holistic health activity, with both physical and mental benefits for all who participate. According to NASA “Rebound exercise is the most efficient, effective form of exercise yet devised by man”. In addition, our climbing equipment builds exceptional motor skill development, confidence and hand-eye coordination. Get kids active, build teamwork skills and have fun. Whether you are looking for a structured school program or a casual session, our superstar functions team are here to help. Take advantage of our exclusive school pricing for only $16pp for 90 min activity including Latitude grip socks. Catering can also be added to your package to feed those hungry bellies. Give us a call and find out how your students could benefit from a visit to Latitude! How many school children can you cater for? Are students required to bring anything to Latitude? Can students bring their own packed lunch to Latitude? Is a deposit required to make a school booking? Do your staff have working with children checks? Do you have a risk assessment policy and certificate of currency? The School Program requires a minimum of 10, and can accommodate up to 80 children. We can also cater for larger groups, anywhere up to 200 people, just give our events team a call for more info on larger bookings. We advise all children wear something comfy, and those who intend on climbing will need to bring closed toe shoes. Drinking water taps are provided at each venue, but students may wish to bring a drink bottle to fill up and stay hydrated. It is a great workout! For health and allergy reasons, outside food and drinks cannot be consumed in our centre. Drinking water is provided for all patrons, and our cafe has a range of hot and cold snacks for sale. Yes, we require a 50% deposit to secure a school booking, with the final balance due 7 days before the booking date. Yes, all our crew are required to have a working with children check before they commence employment at Latitude. Yes, the risk assessment and certificate of currency can be emailed to you upon request.